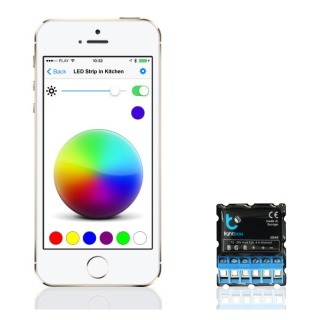 We have put together a range of Dual 12/24v Colour Controllers for RGB Colour Changeable LED Strips and LED Tape. Our Controllers are not limited to 7 colours like most low cost Chinese controllers, but have a minimum of 2.1 Million colours. 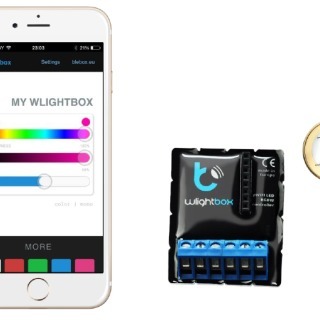 Giving the LEDs the ability to produces any colour out of the visible spectrum including white and off-whites. With our controllers RGBW is not necessary. These controllers are manufactured in the U.K and Europe, so are safe and reliable. 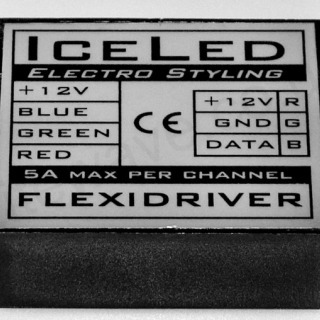 ICELED Flexidriver. With Automatic colour changing over a 90 second period. ICELED Flexidriver+. Speed Control over colour phasing, Hue, Brightness, and Saturation Control. Also includes Sound-to_light mode for sound reactive colour changing. Lightbox. 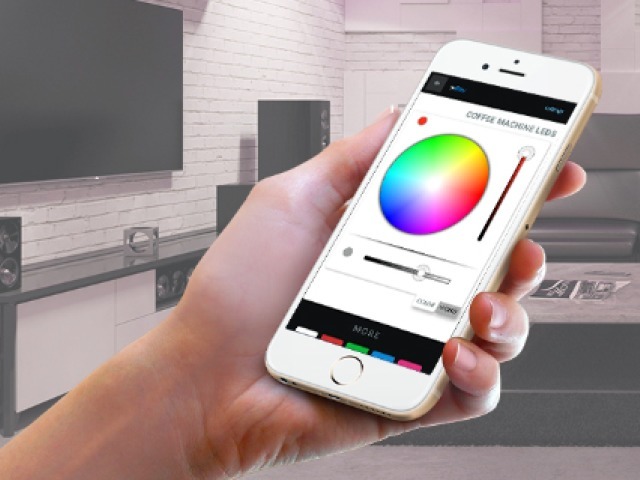 Provides full colour control from your phone via Bluetooth, choose from 16.7 Million colours. 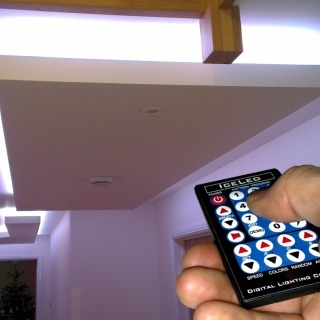 Wi-Fi Lightbox for networked lighting using several controllers over distances, with Worldwide control. 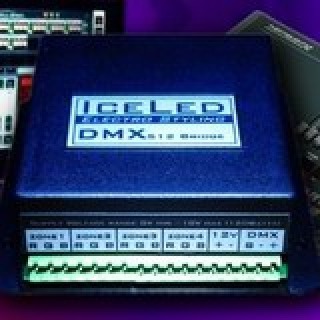 ICELED DMX. Use the DMX 512 Protocol for use in Nightclubs, Theatres, and Television studios. ICELED ZEN. Similar to the ZEN but self-contained with an Infra-Red Remote Control, sound-to-light function, speed control over colour change, 4 Interactive Zones, and Colour Range / Palette control. 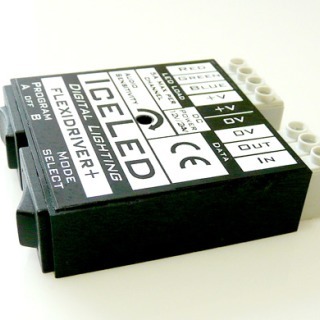 All of these LED Strip and LED Tape Colour Controllers are manufactured in the U.K and Europe for high reliability.